DANCELEN(D)S is collaborating with Shared_Studios on a global public art exhibition featuring dance around the world. 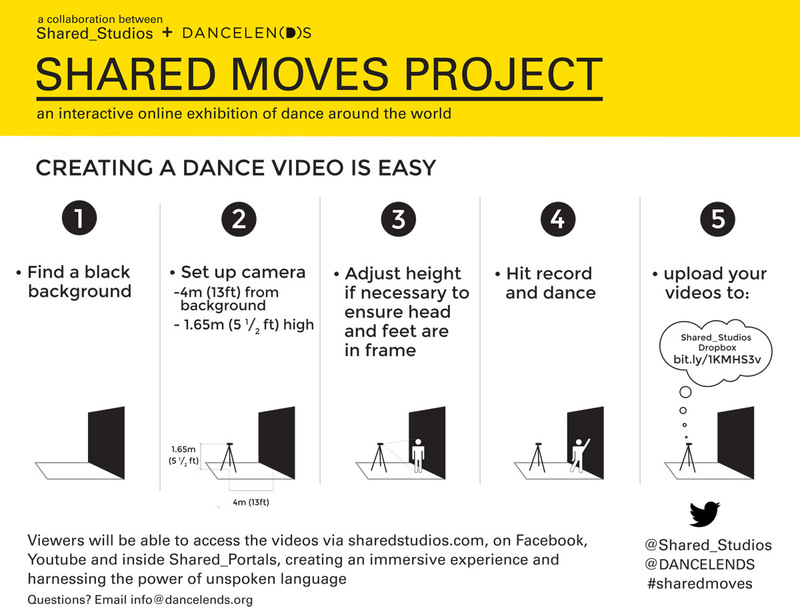 Videos submitted will be curated as part of Shared_Studios’ PORTALS. Find out more about PORTALS and become a part of the movement by following below. Introducing Portals: what are portals? from Shared Studios on Vimeo.